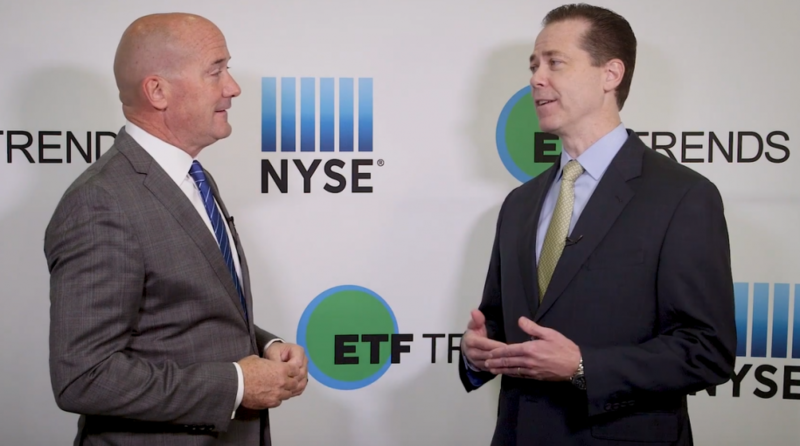 With markets experiencing wide oscillations, ETF investors can still look to alternative investment strategies to bolster and diversify their portfolios. “What we’ve been advising our FAs as well as clients is we’re realizing they’re underweight, generally have been underweight alternatives, trying to hedge out that risk because there really hasn’t been a lot,” John Lloyd, Managing Director and Head of Research Platform Group for IndexIQ, said at the Charles Schwab IMPACT 2018 conference. Consequently, IndexIQ has seen alternative strategies like the Index IQ Merger Arbitrage ETF (NYSEArca: MNA) gain more traction. The ETF employ a type of alternative, “directional hedge fund strategy” called merger arbitrage. Specifically, the fund capture the spread or difference between a stock’s trading price before a deal is announced and its eventual takeover price.